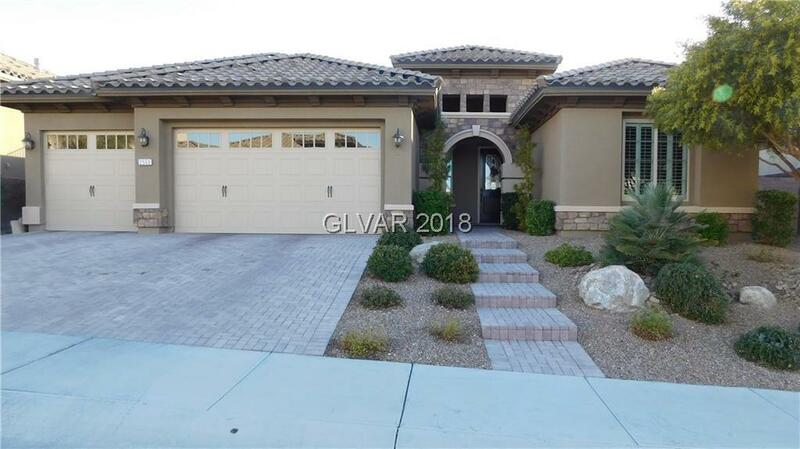 Open floor plan, generous storage and year round outdoor living with covered patios in private backyard overlooking Sloan Canyon.This home has many upgrades including crown molding, new granite in the kitchen and both bathrooms, new cooktop, new sink and insinkerator installed 2018. Third bedroom is set up as an office but owner will convert back to a bedroom if requested. Directions: Anthem Parkway To Becentennial To Anthem Highlands Drive. Left On Democracy Then Right Into Madeira Club.